✔️ADD 120-170% EXTRA BATTERY LIFE - For your iPhone X without being tethered to a wall plug. ✔️SAFETY CERTIFIED - with CE, FCC, ROHs Certification + Over Charging and Heat protection. Original design by Fiora. 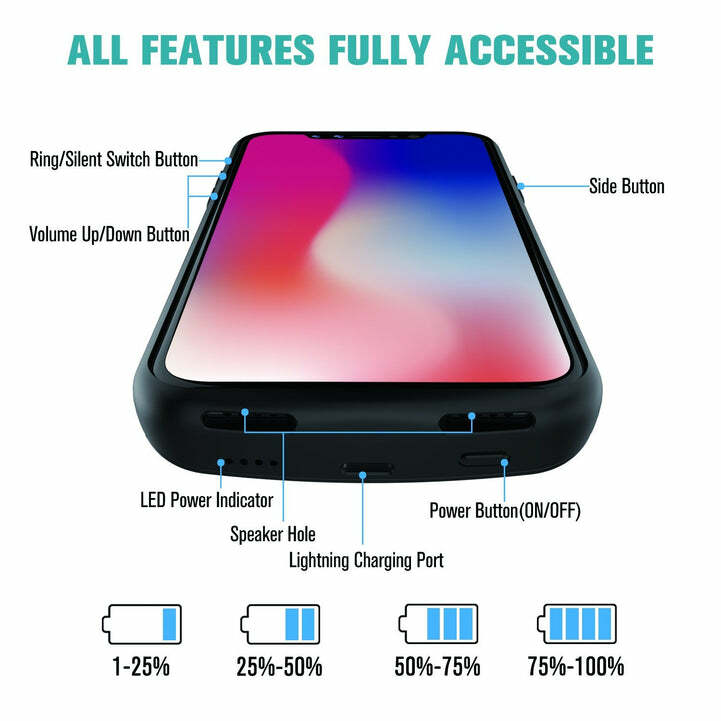 iPhone X Battery Case That will Not Disappoint! The iPhone X Charging Case by Fiora™ offers full protection with a slim and light design while fast charging your iPhone X battery. You now have the ability to add an additional day and half for your iPhone X for those busy times when you don't have time to charge your iPhone. 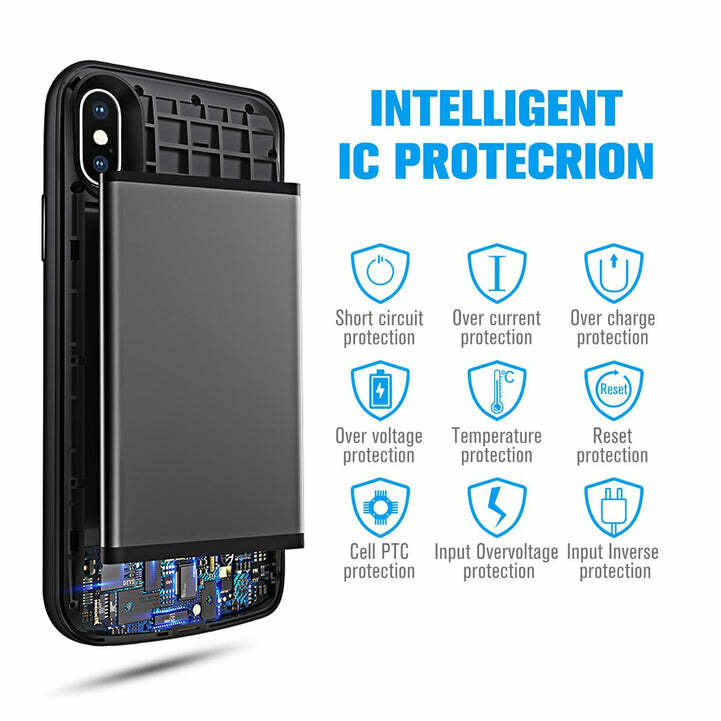 The iPhone X battery case has a 1 year manufacturer warranty and a customers 100% satisfaction guarantee. Two battery capacities available in 3600mAh or 6000mAh for more energy. ✔️Add 120-170% extra battery life for your iPhone X without being tethered to a wall plug. ✔️ Charging Case provides your iPhone X with premium protection against wear and tear. It’s easy to use and high efficiency.